Bringing cooking back to the kitchen — one meal at a time. You don’t need to spend hours in the kitchen to prepare wholesome and nutritious meals for the whole family. 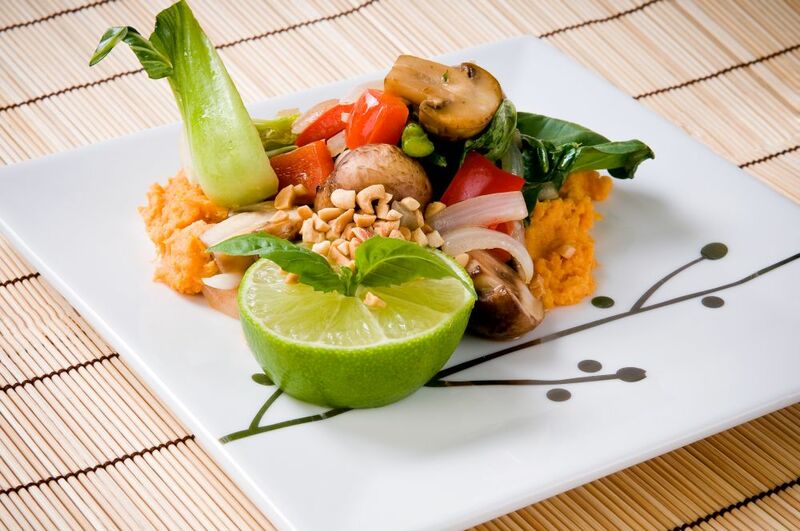 Check out this recipe for wok vegetables on a savoury sweet potato bed that appeared in OptiMYz issue 705. Wash the potatoes and pierce with a fork. Place in the microwave for six minutes until done. Let the potatoes cool for two minutes (they will be hot!). Remove the potatoes from the microwave, peel and transfer them to a bowl. Add butter and mash with a fork. Season with salt and pepper to taste. Pre-heat wok to medium heat and add coconut oil. Add the vegetables and stir vigorously for two minutes. Toss in the minced ginger and garlic. Stir in the soy and chili sauce and cook for two more minutes. Add the basil and the rest of the seasoning and squeeze in the limes. Serve topped with toasted peanuts or sesame seeds if allergic.